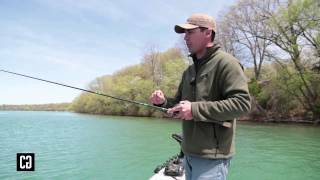 Lake Simoe Ontario, This quick tip from Ryan Hare today talks about monitoring your bait and the fish with your fish finder. You electronics are a valuable tool to keep the bait a above the fish, to allow for time bring up the bait and trigger a strike. 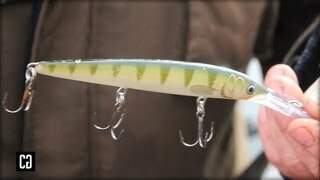 Paul Castellano from Cast Adventures is with us this week to offer a great tip and explanation for using braided line when ice fishing in deeper waters. A follow up to the CG How To "How to Dropshot in Heavy Cover" Fish City Tours' Taro Murata better explains how to use the wind to truly slow down and not be fighting that breeze that tries to blow you right off the spot. Slowly inching along a weed bed in this case, Taro picks apart an entire stretch of shoreline dangling his "powershot"
Sometimes it's that dull hook that causes the fish of the day to shake off at the boat! 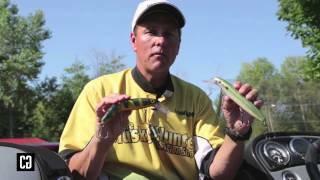 Jim "Musky Hunter" Saric pulls out the file and shows us exactly how he keeps his hook points penetrating how they should. 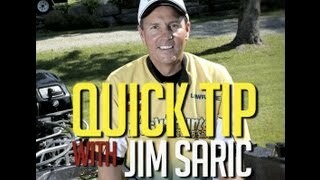 Jim Saric is back for one last QuickTip for now! 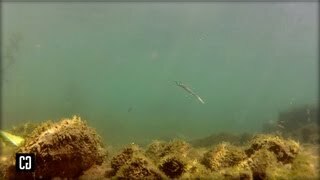 The "Musky Hunter" himself gets asked when when he fishes which crankbait and when. Check out how simple this decision can be! 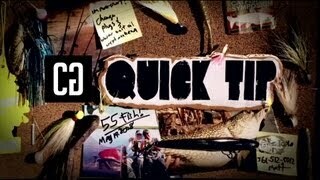 We're pleased to present one more QuickTip from Charter and Guide featured angler, Jim Saric from Musky Hunter Television. 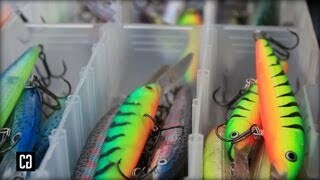 Muskie, Musky, no matter how you put it, if you hunt these sometimes elusive beasts, chances are your tackle box is loaded with all kinds of valuable lures. Jim talks us through they two leaders he uses to make sure his baits come back in the boat cast after cast! 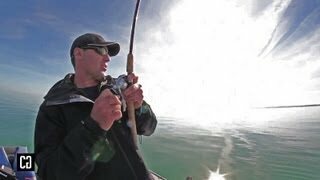 Charter and Guide featured angler, Jim Saric from Musky Hunter Television shares this invaluable tip with us on choosing the right bucktail to use in whatever weather pattern you're faced with. He's speaking from years of experience chasing giant Muskellunge across North America and we're pleased to have a few tips from him to share with you! A tip from Taro Murata on casting to shoreline cover. Sometimes it's those little differences on stretch of shoreline when fishing, where the next better bite will come from. 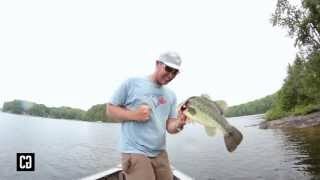 See where exactly this largemouth bass came from when we filmed his Charter and Guide How To Drop Shot to Heavy Cover video. 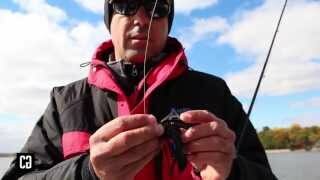 Following up Paul Castellano's Charter and Guide How To video on ripping blades for cold water river smallmouth, he details what fishing line he uses and why. 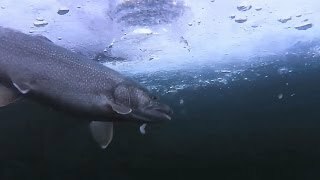 Lake trout and other fish will follow lures and lose interest quickly if they are inactive. Using your trolling motor and varying your speed can be all the difference some days to trigger fish into biting! Apply this simple technique when strolling or trolling for better results and increased opportunities. Sometimes it's the little things that can make all the difference when fishing. 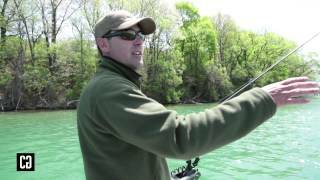 Here we share a few more tips to help you hook more fish when using the poor mans downrigger for Lake trout. 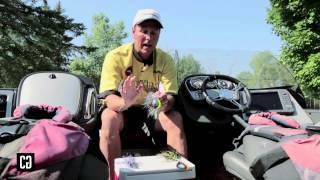 Paul Castellano from Cast Adventures shows us where to find cold water smallmouth in a pre-spawn situation. 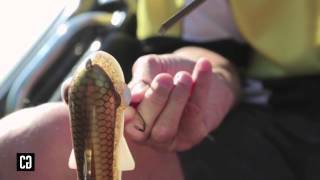 Taro Murata from Fish City Tours teaches you how to lighten your drop shot weight to customize the effectiveness of your presentation. Taro Murata from Fish City Tours fishes heavy dropshot weight using finesse tactics to catch finicky bass around urban structure and pilings. 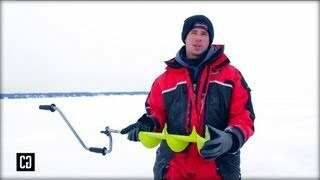 Ryan Hare from We Pound Em’ Sport Fishing hits some first Ice to show you how to properly use a hand auger to drill a hole for your sonar while ice fishing. 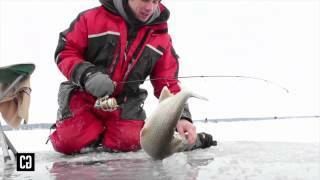 Ryan Hare from We Pound Em’ Sport Fishing hits some first Ice to show you how to properly use a hand auger to drill a hole while ice fishing. 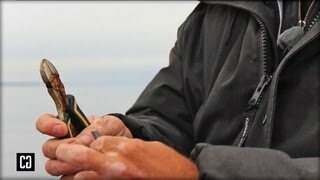 Paul Castellano from Cast Adventures shares with you how to check your line and hook point and line when fishing around heavy cover.